In these visitors’ rules and regulations, the “Organisers" shall mean ECMI ITE Asia Sdn Bhd and PT Prakarsa Sinergi Utama. In registering for or accepting the offer of admittance to the Exhibition, visitors agree that they shall observe and comply with these rules and regulations and with the rules and regulations of the Exhibition Centre. All questions must be answered completely. The Organiser reserves the right to refuse entry if the form is not completed appropriately. 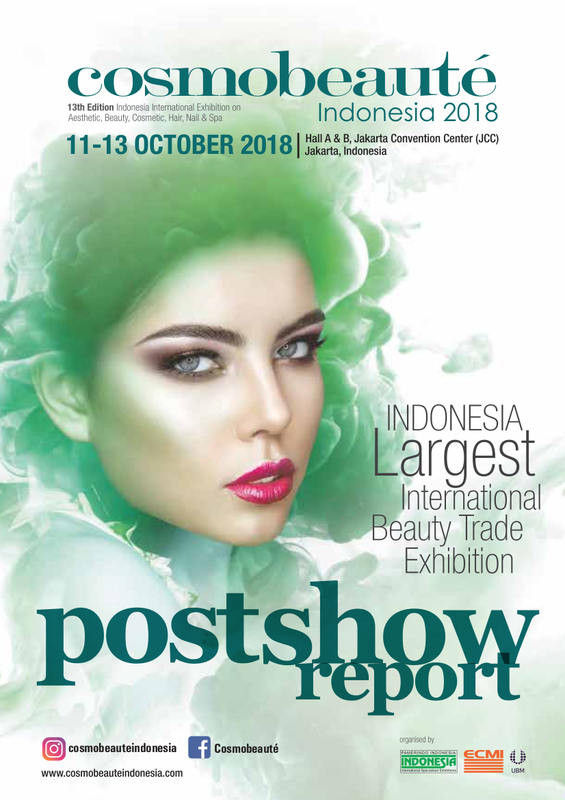 Cosmobeaute Indonesia is open for trade visitors & professionals only. All visitors must be in proper business attire. No admittance to anyone under the age of 16. All visitors must be suitably attired. Those in shorts, sleeveless and slippers will not be allowed in the exhibition hall. Visitors shall not do, or permit anything to be done, which shall cause a disturbance, nuisance, annoyance, inconvenience, damage or danger to any person or thing or which in the opinion of The Organiser does not conform with the general standards of the Exhibition or amounts to a breach of these rules and regulations or applicable laws and regulations generally applying. Visitors may not bring any camera, video recorder or recording equipment of any kind to the Exhibition without the prior written consent of The Organisers. The Organiser reserve the right to search the belongings of any visitor at any time. It is expressly prohibited for visitors to record images in any form (“Images") while attending the Exhibition without the prior written consent of The Organiser. Such prohibition includes, but is not limited to, the taking of photographs, video recording of any type and drawing or sketching of Images. Visitors agree to surrender to The Organiser on demand any material in whatever media on which images may be recorded in violation of this rule, including but not limited to film, video tapes, sketchbooks, camera phones and digital storage devices. The Organiser reserve the right to refuse admittance to any visitor or to require any visitor to leave if in their opinion his or her behaviour is in breach of these rules and regulations or of any rules and regulations of the Exhibition Center, or contravenes applicable laws and regulations generally applying. The opinion of The Organiser is final in this regard. The Organisers shall not be liable to any visitor for any loss of or damage to any of his or her property occurring (from whatever cause) in or about the Exhibition Center nor for the death of or any injury sustained by any visitor whilst on or leaving the Exhibition Center (other than for death or injury resulting from The Organiser negligence to the extent this cannot be excluded or restricted at law (and then only to such extent). The Visitor agrees that The Organiser shall not incur any liability to him or her for any products displayed or sold by any exhibitor at the Exhibition. Each Visitor agrees to indemnify and hold The Organiser harmless, on demand, against all claims, liabilities, losses, suits, proceedings, damages, judgments, expenses, costs (including legal fees) and charges of any kind howsoever incurred by or on behalf of or made against The Organiser arising out of any infringement or other claim relating to or arising out of the unauthorised taking of any Images by that Visitor. The Visitor agrees that The Organiser shall not incur any liability to him or her for any error or omission in any information relating to any exhibitor or its products in the Exhibition’s official directory or in any other promotional or other printed materials or information provided by The Organiser or that exhibitor. No waiver by the Organisers of any of the provisions of these rules and regulations or of any of its rights hereunder shall have effect unless given in writing and signed by the Project Director of The Organiser. Visitors agree that the personal data provided for registration for the Exhibition may be included in The Organiser’s database and used by The Organiser or passed onto third parties for promotional purposes. Any requests for access to or correction of the data can be made to The Organiser. A fee will be charged by The Organiser for complying with the request.